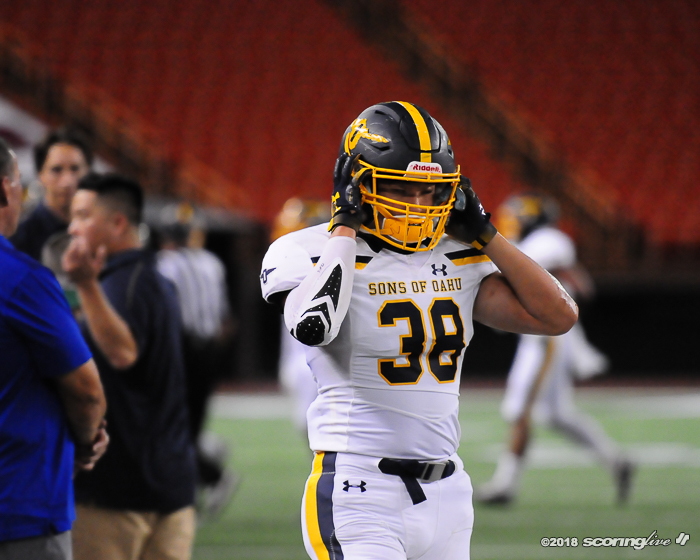 HALAWA — Kainalu Puu-Robinson had a hand or two in helping No. 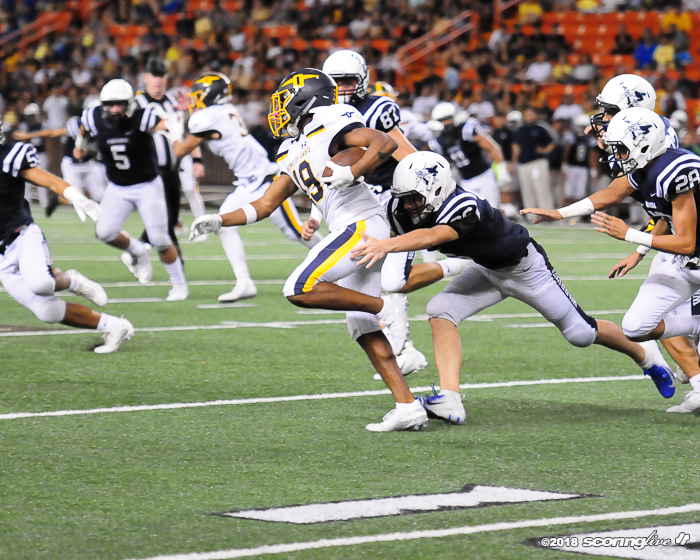 3 Punahou down No. 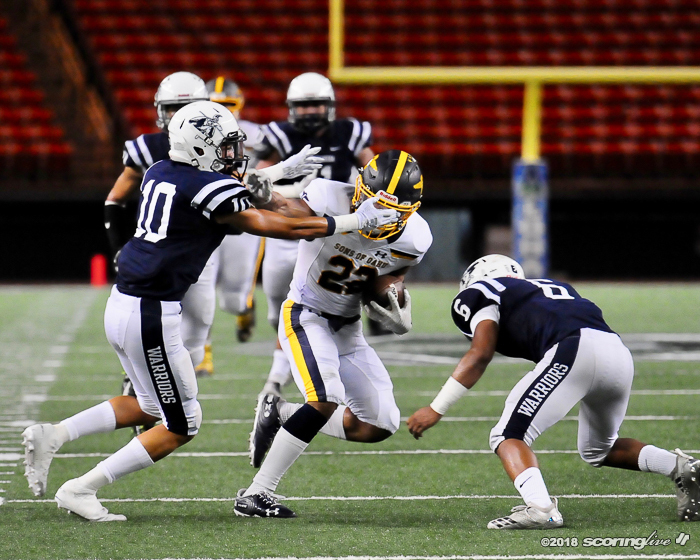 6 Kamehameha, 30-14, Friday night at HTFCU Field at Aloha Stadium. 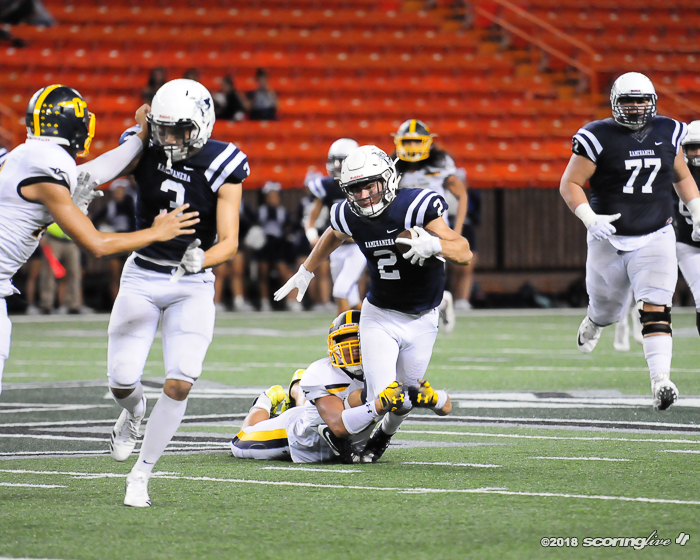 Puu-Robinson's blocked punt set-up the go-ahead touchdown that snapped a 14-all game, and he defended two passes in the red zone to help the Buffanblu in the Interscholastic League of Honolulu Open game. 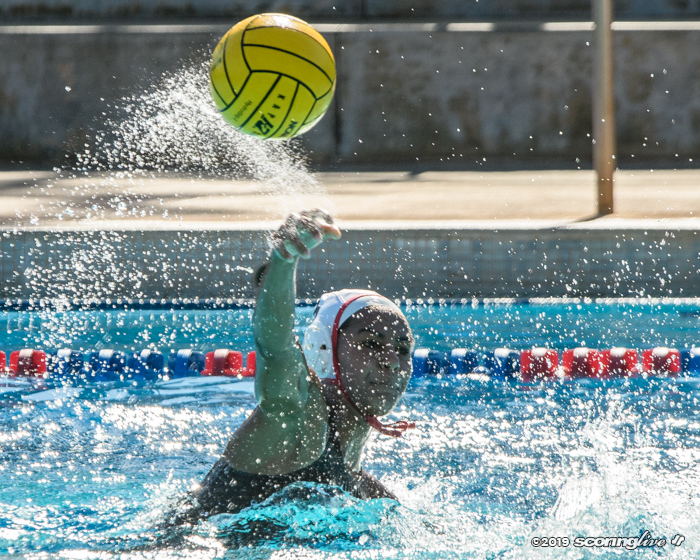 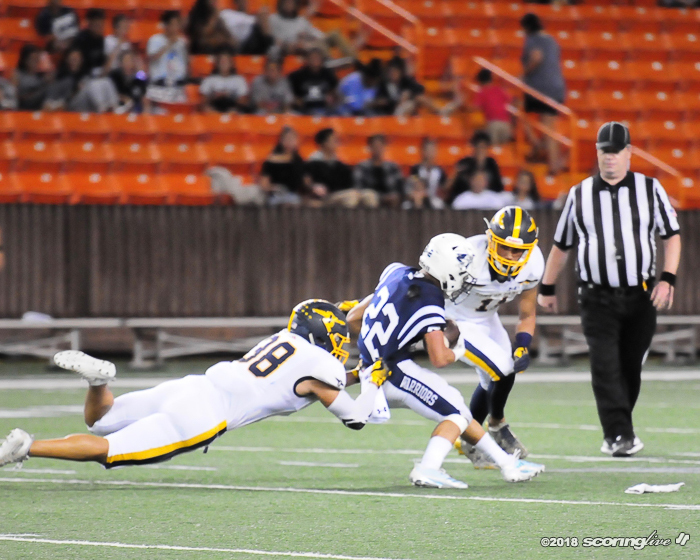 Punahou improved to 5-2 overall and in the ILH, while the Warriors dropped to 3-4, 2-4. 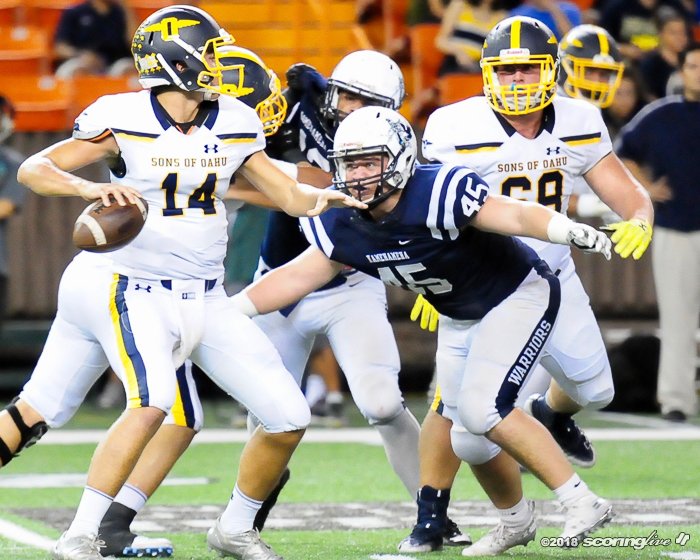 Meanwhile, Saint Louis (6-0, 5-0) will have played one fewer game than Punahou and Kamehameha. 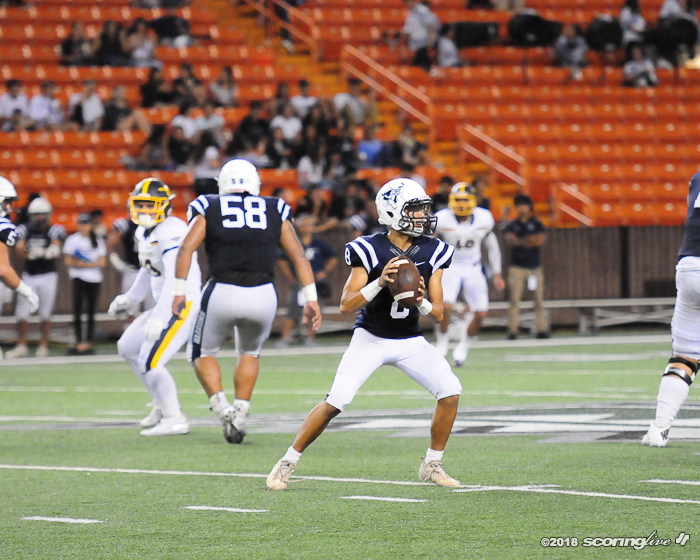 Saint Louis' game with Mililani was canceled during the Hurricane Lane crisis. 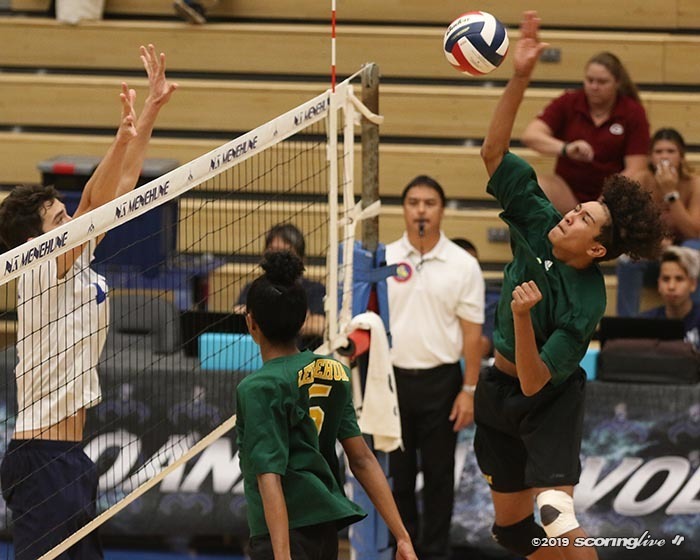 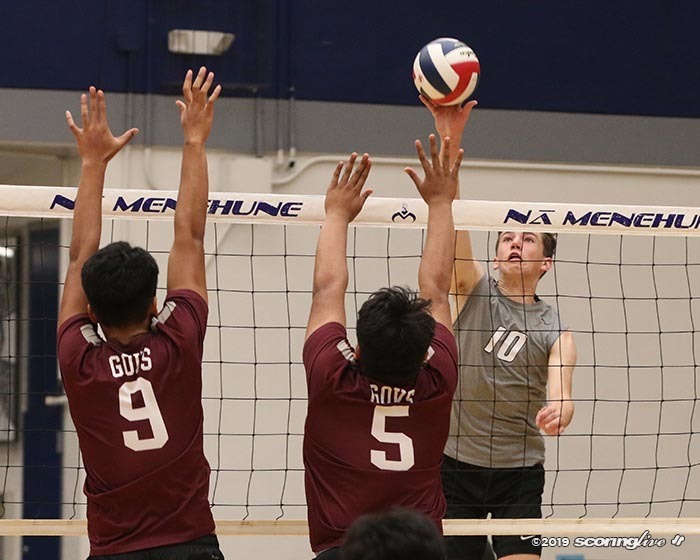 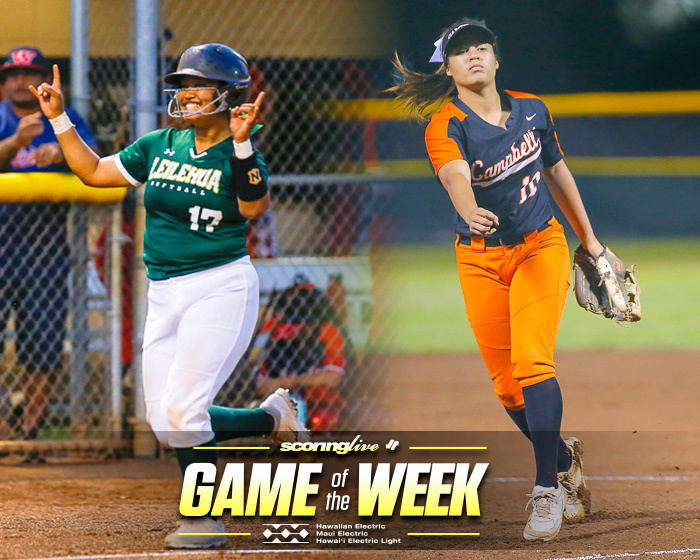 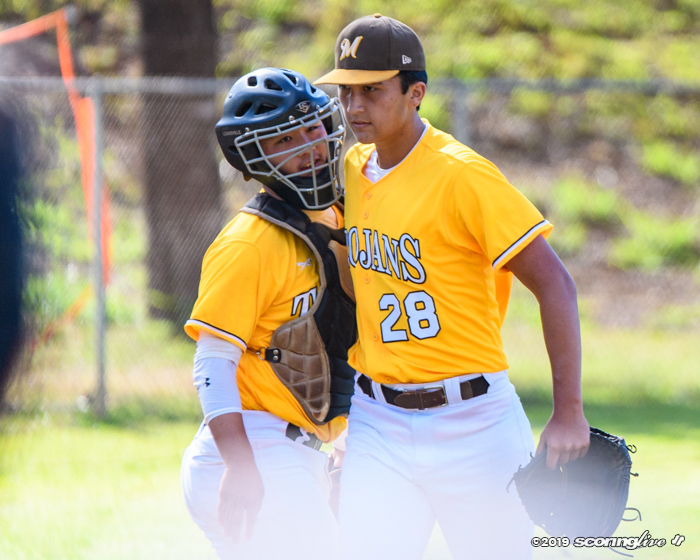 If the ILH decided to not count the Trojans' win against Kamehameha and loss against Punahou to even out the standings, it likely still would not affect the outcome. 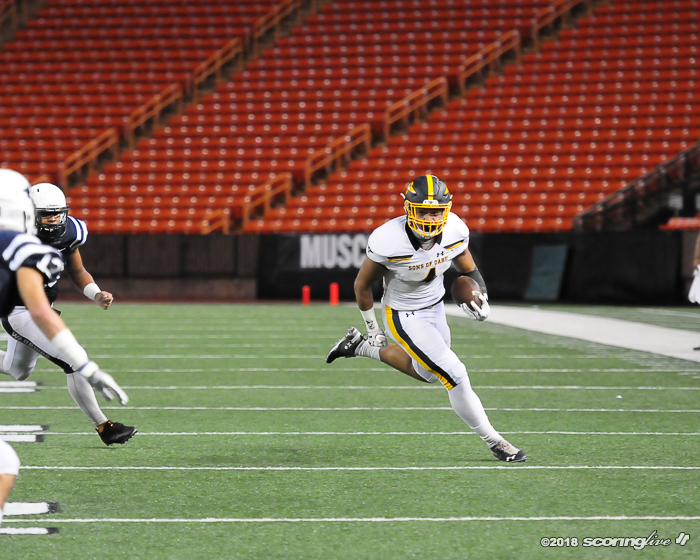 A decision has not been made yet by the ILH, Ane said. 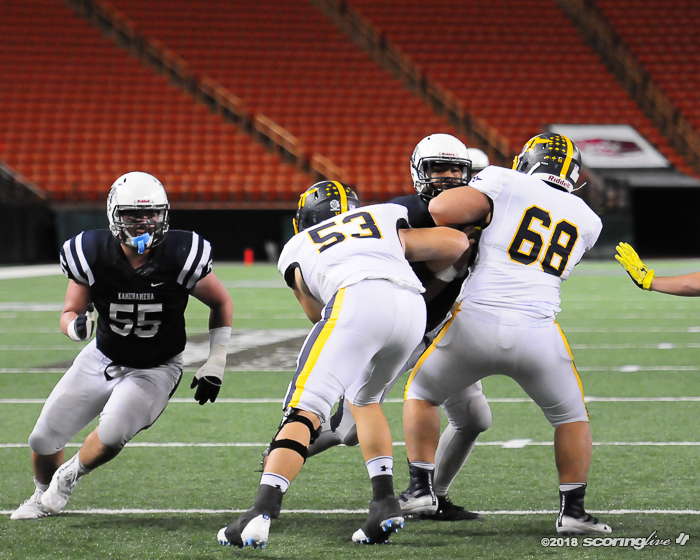 "Even so, (the Crusaders) beat us so it would be really hard if we had beaten them and they go as No. 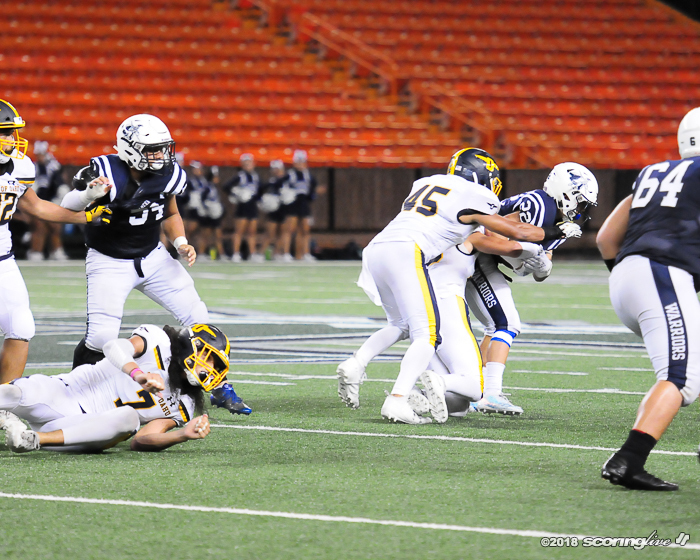 1," Punahou coach Kale And said. 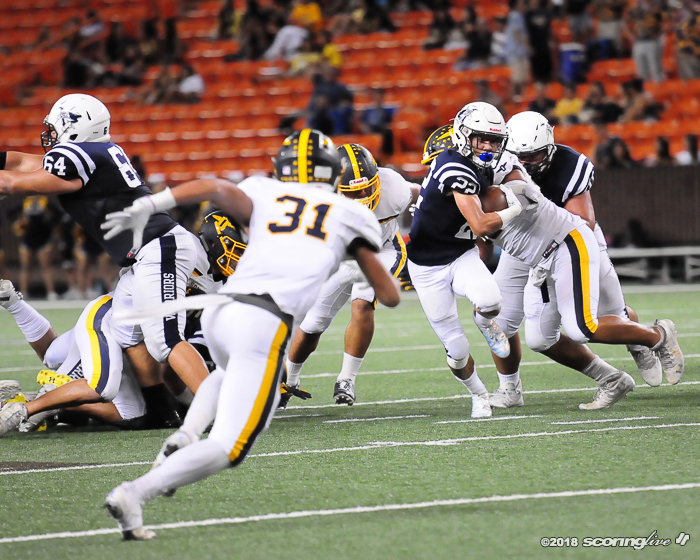 "But we lost to them on the field; they earned it. 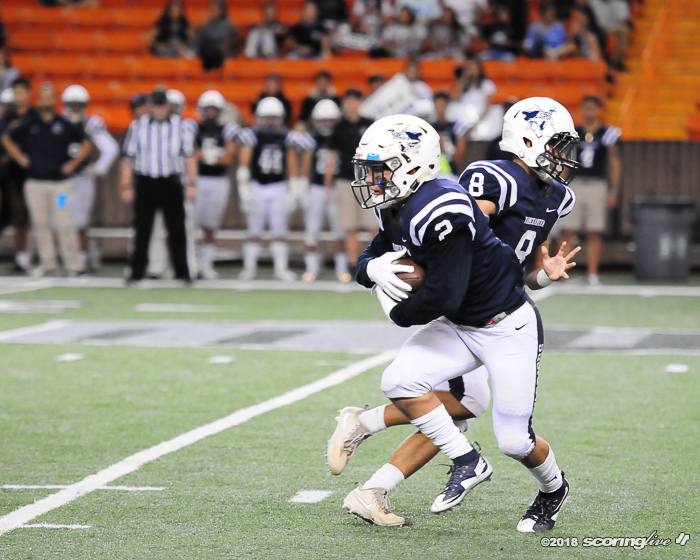 If we continue the same path, I don't have any concerns." 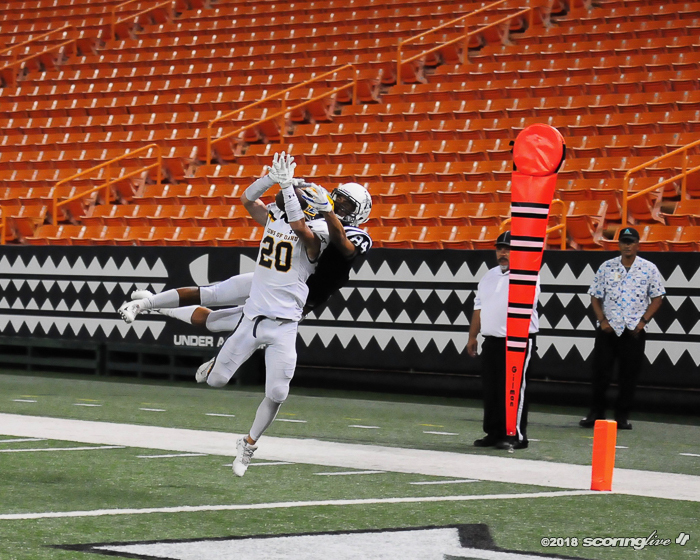 It was Puu-Robinson's play in the second half that ignited the Buffanblu. 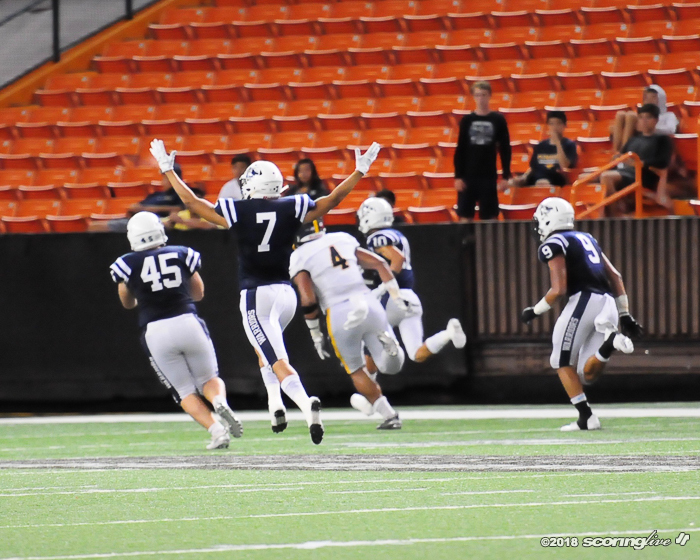 With the game knotted at 14, Kamehameha lined up for a punt on fourth-and-1 from its 36. 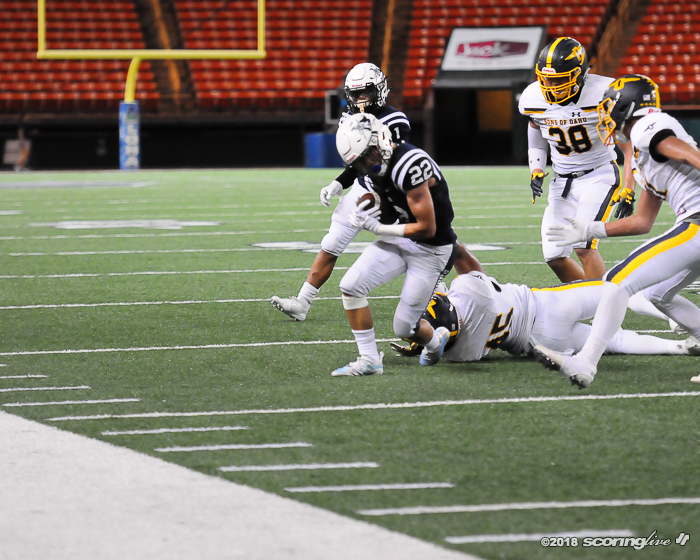 Puu-Robinson cut back to the middle to block the punt and recover it at the Warriors 17. 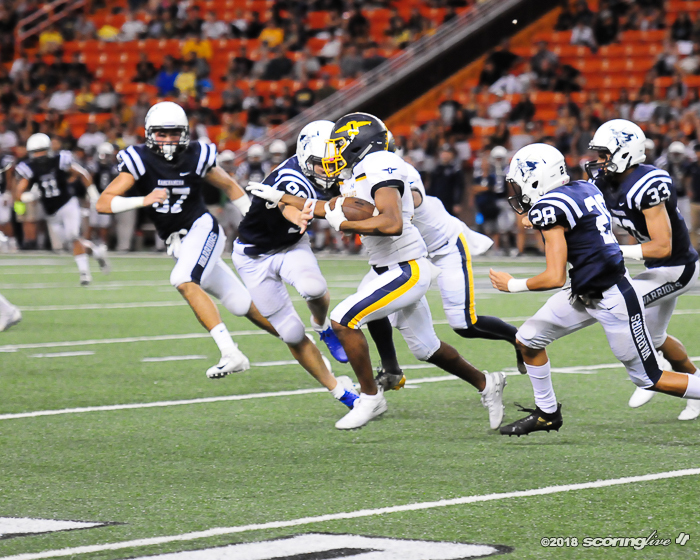 After a 15-yard run by running back Sitiveni Kaufusi, he took the next handoff for a 2-yard TD run to put Punahou ahead, 20-14, with five minutes left in the third period. 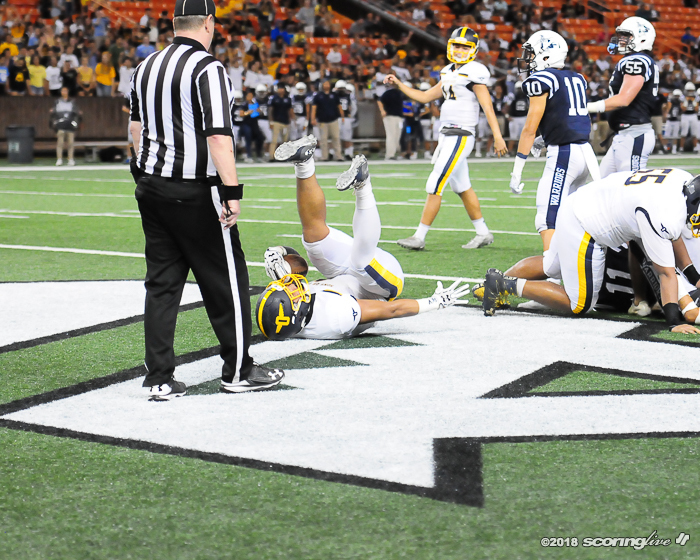 The Buffanblu faked a PAT but the run up the middle was stopped short of the goal line. 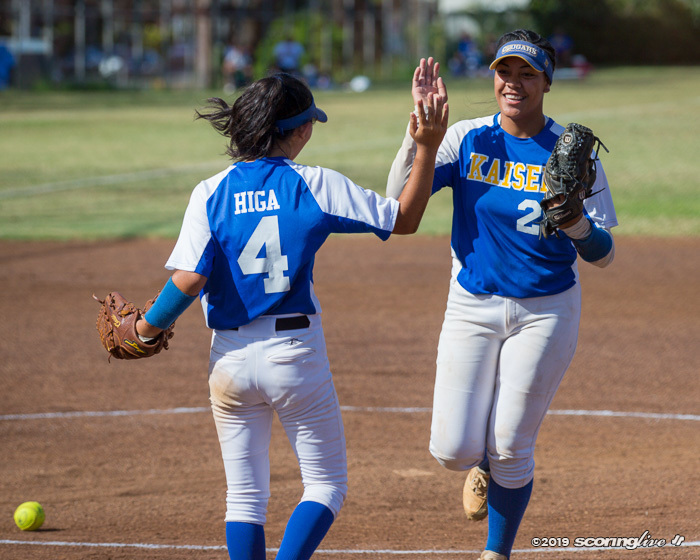 "The first two times, I tried to go outside," Puu-Robinson said. 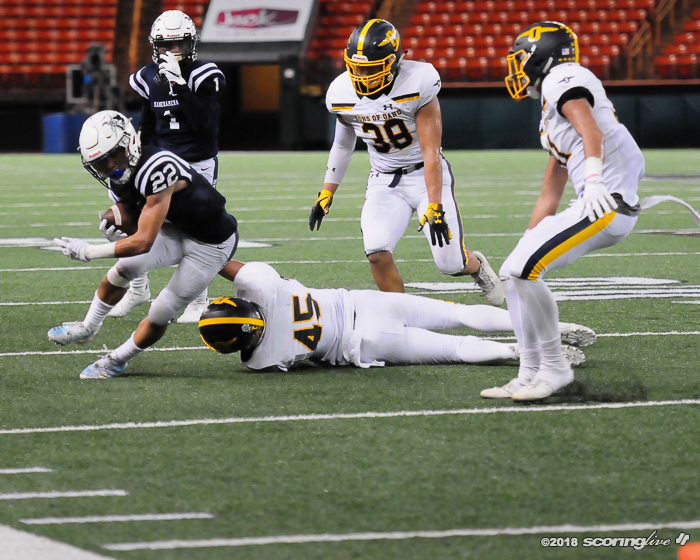 "I knew they were coming down, so for the third time I stemmed outside and was able to cut back in and was able to be there." 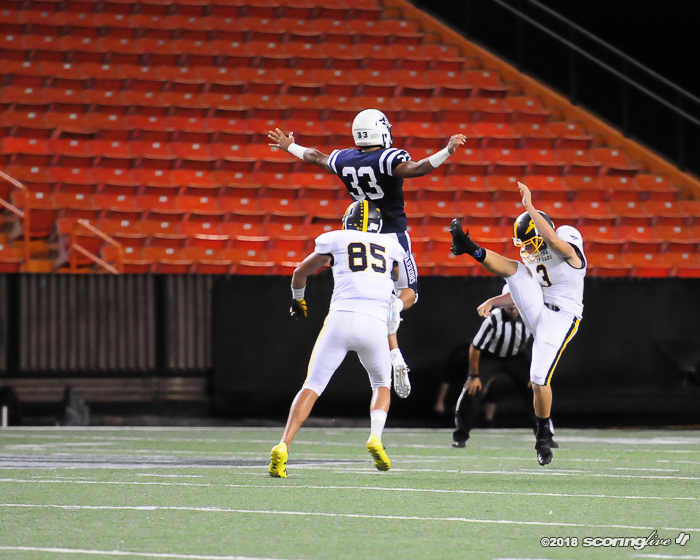 "That turned the game around," Ane said of the blocked punt. 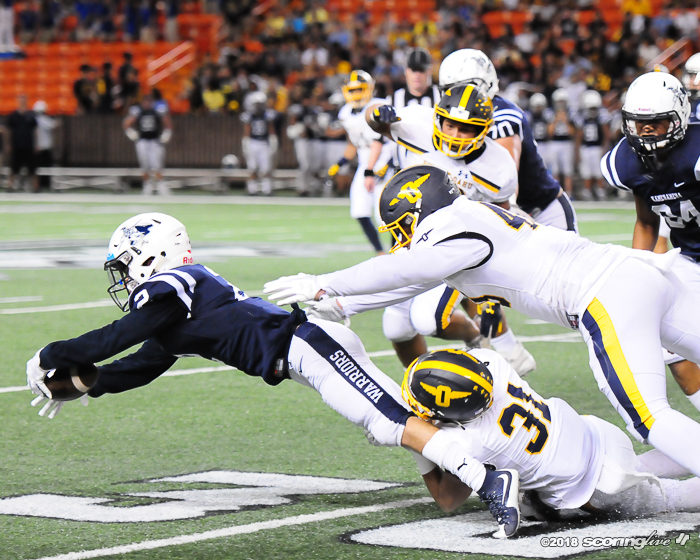 "He made a great play." 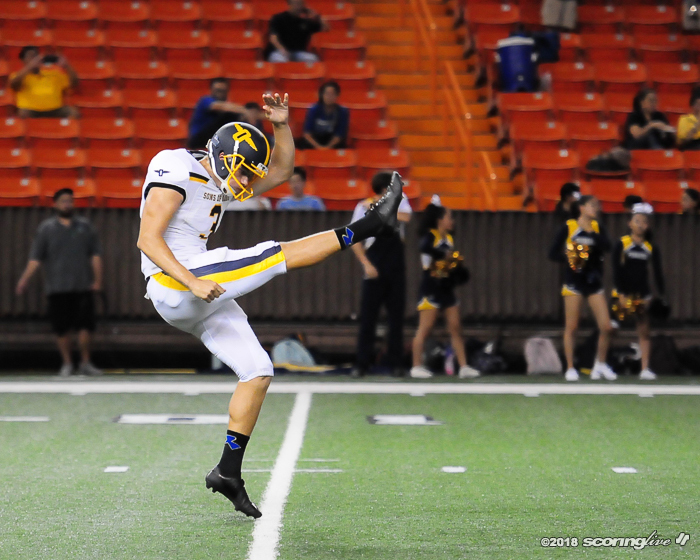 The special teams were at it again early in the fourth when Tim Horn hammered a 48-yard field goal to make it 23-14. 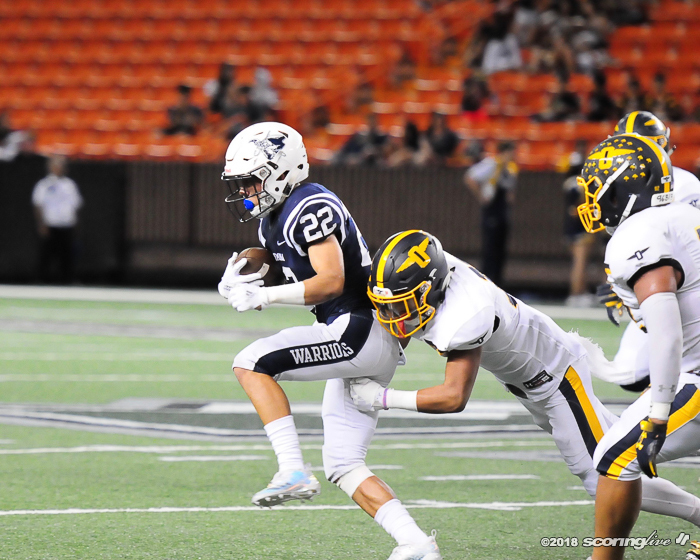 Later in the fourth, Puu-Robinson, a cornerback, broke up two pass plays in the red zone that forced the Warriors to try a 30-yard field goal, but Preston Rezentes' kick went wide left. 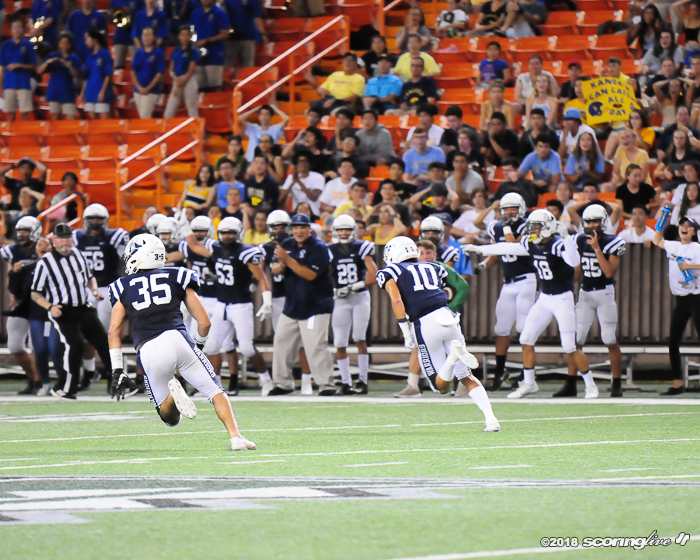 The Buffanblu sealed the game shortly on Hugh Brady's 75-yard TD pass to Les Falatea to make it 30-14 with 5:04 left. 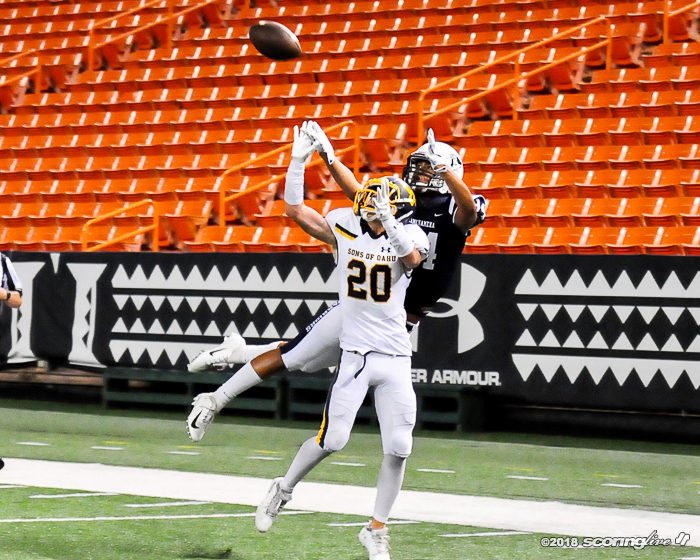 Later, an interception by Jonah Henry ended Kamehameha's final drive of the game. 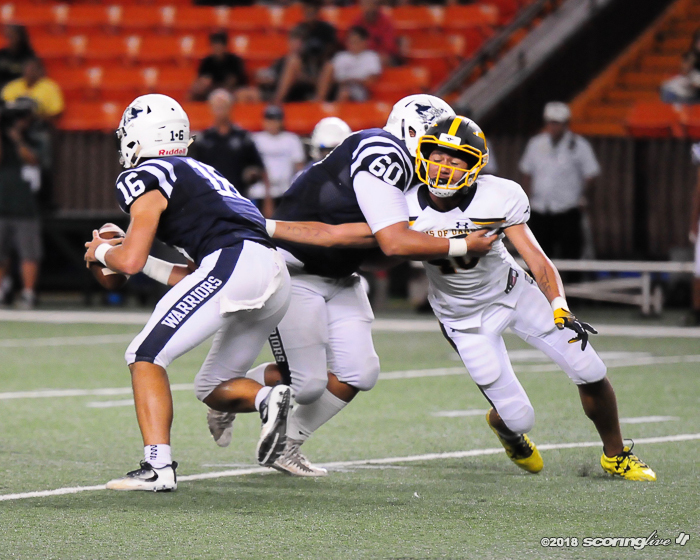 The Warriors and Buffanblu engaged in a defensive battle in the first half. 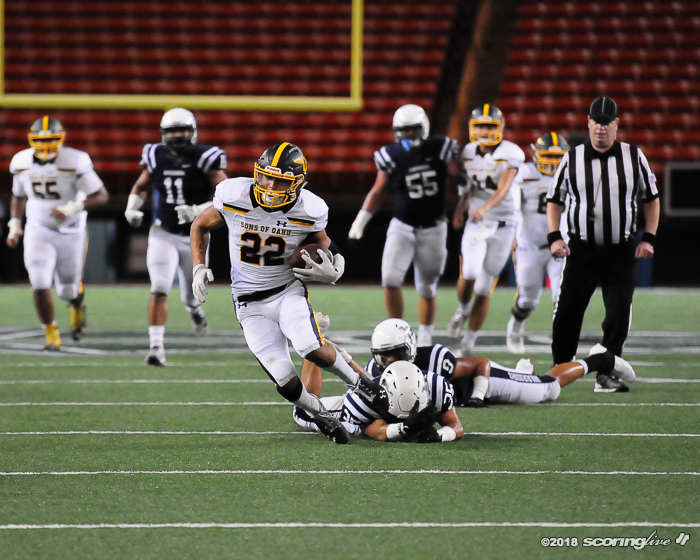 It was the Warriors' defense that got the scoring started when Kalau Morikawa returned an interception 49 yards for a TD. 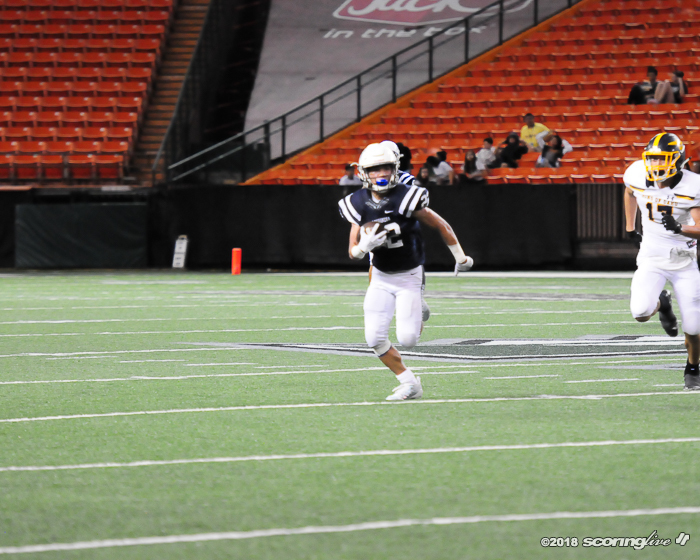 Rezentes' PAT made it 7-0 with 6:57 in the first period. 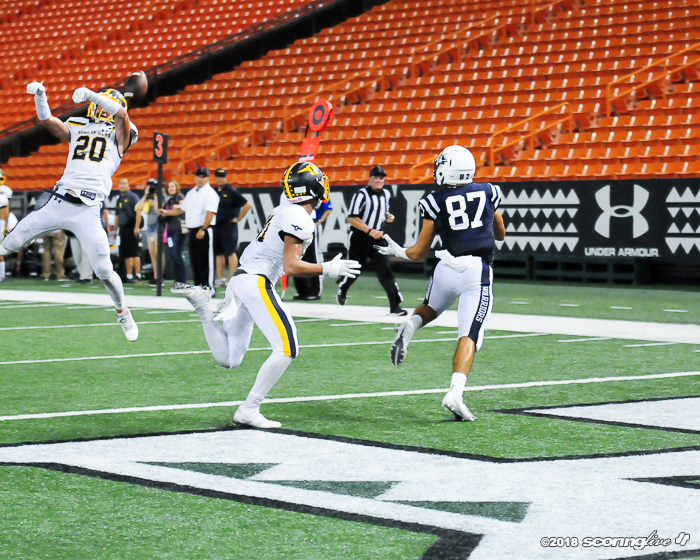 But Punahou tied the game on a 12-play, 73-yard drive that ended with a 3-yard TD run by Kaufusi with 2:39 in the first. 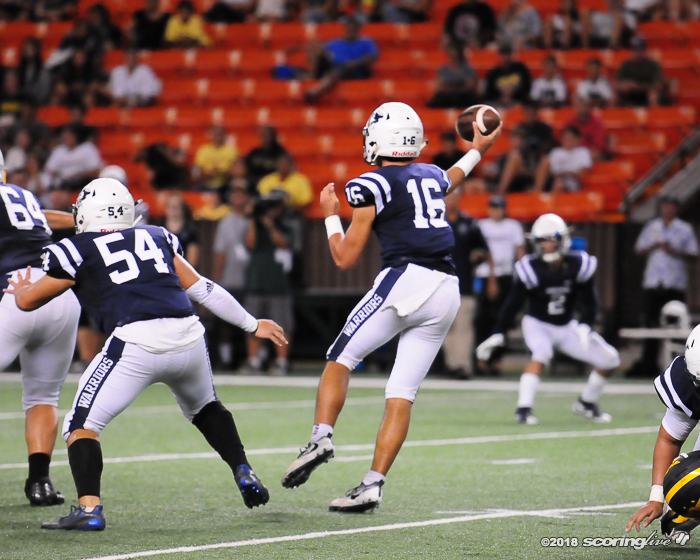 Later in the half, Brady completed 5 of 5 passes for 76 yards in a five-play drive that ended with Brady's 4-yard TD pass to Falatea on a fade to the right corner of the end zone to make it 14-7. 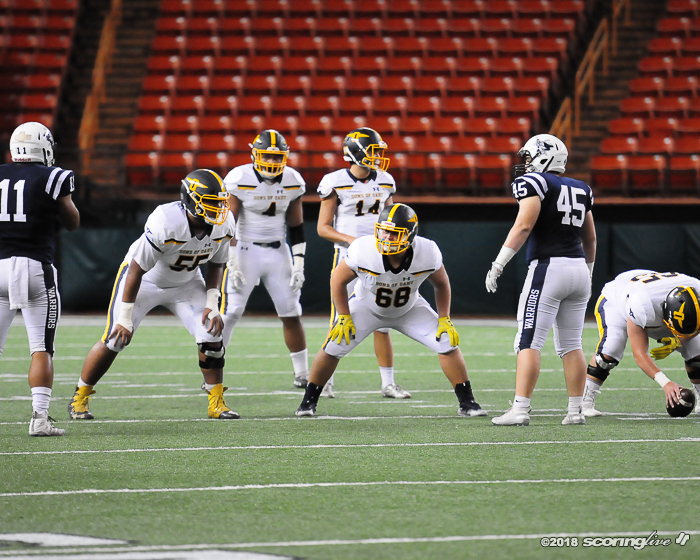 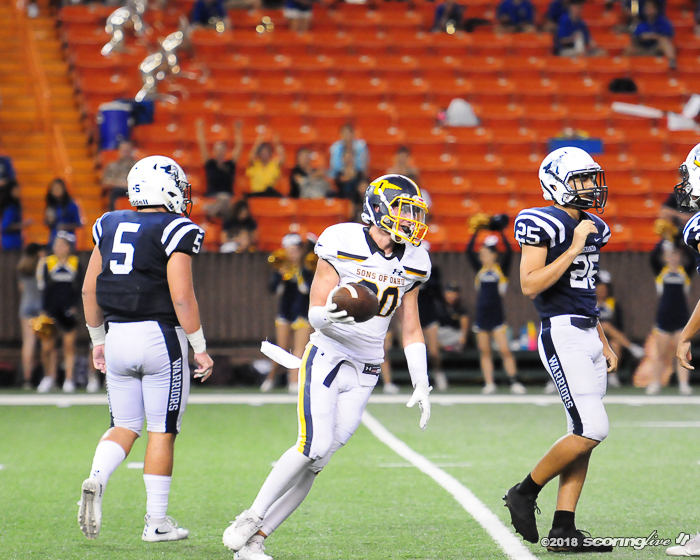 Punahou looked liked it was going to pad its lead entering the half when it recovered a Warriors' fumble after a 25-yard gain to the Punahou 35. 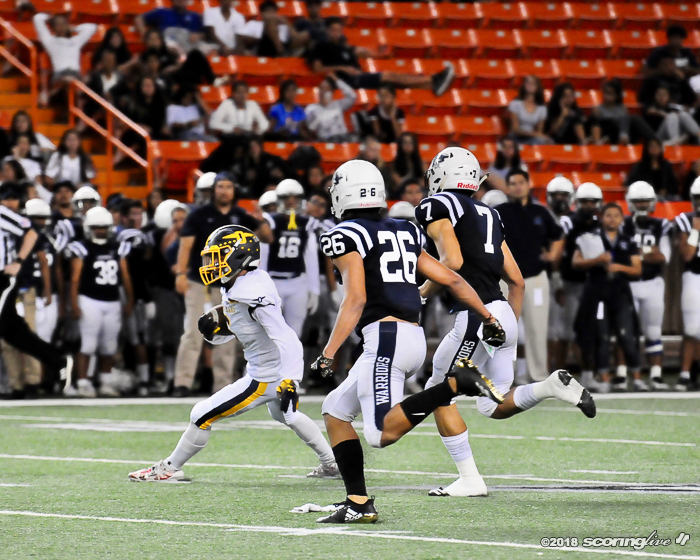 But on first down, Tiger Peterson made a diving interception off of Brady to give the Warriors the ball at the Punahou 39. 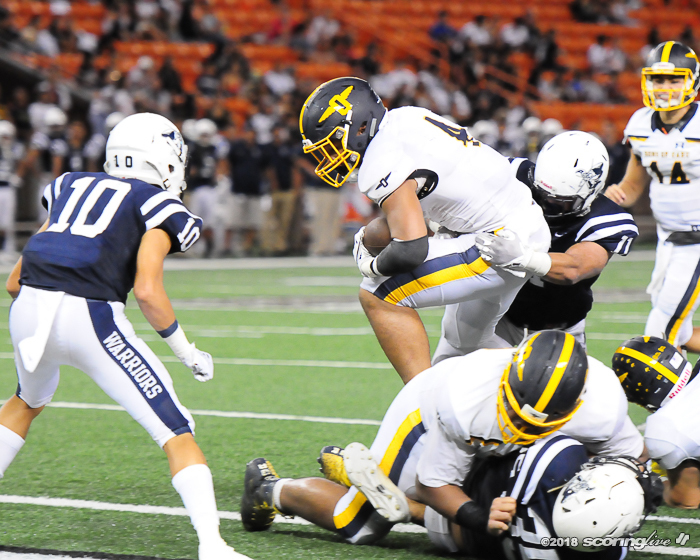 Six plays later, LB/RB Hoku Arias scored from 3 yards to tie the game at 14 with 1:37 left in the half. 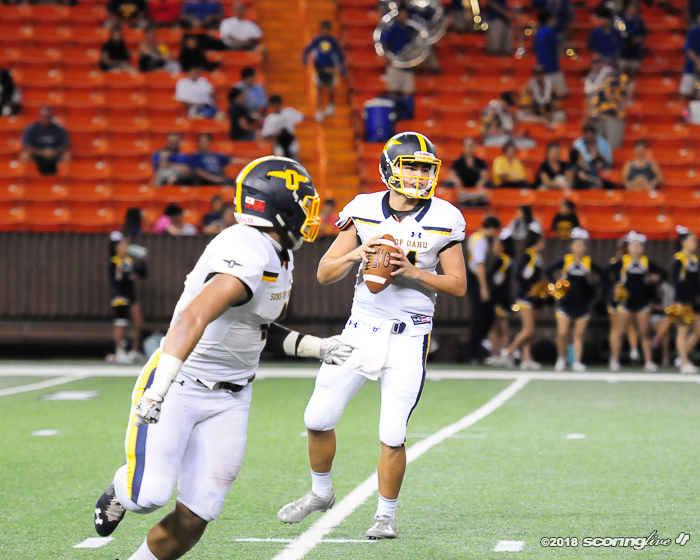 Brady, meanwhile, struggled against the Warriors' defense in the first half. 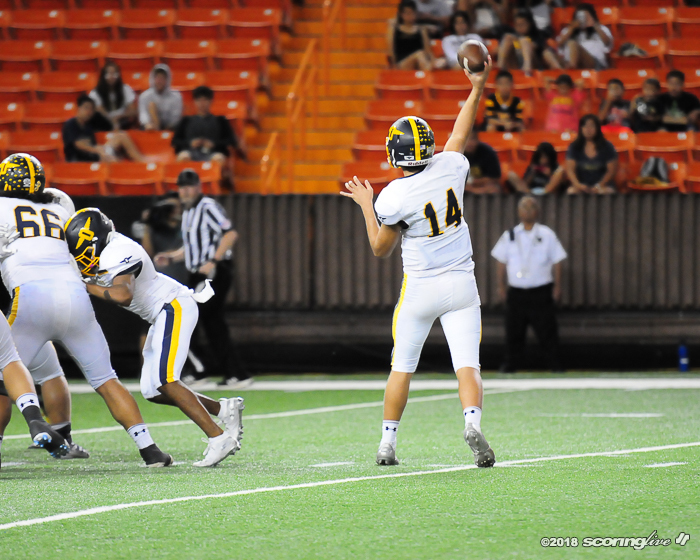 He missed on his first six passes, the sixth being returned for a TD by Morikawa. 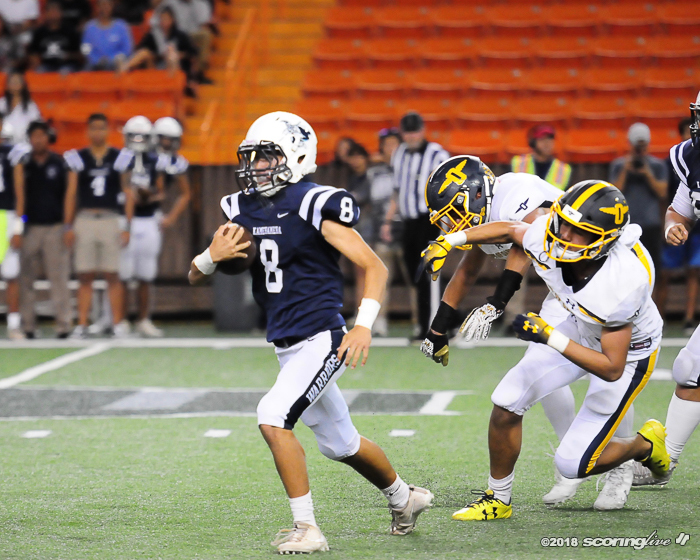 But he completed 18 of his next 26 passes for 278 yards, a chunk coming on a 75-yard TD to Falatea. 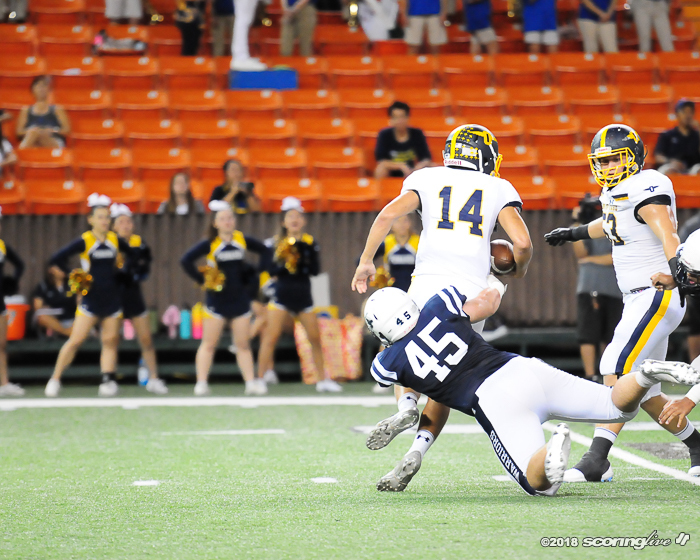 Brady also was sacked five times.